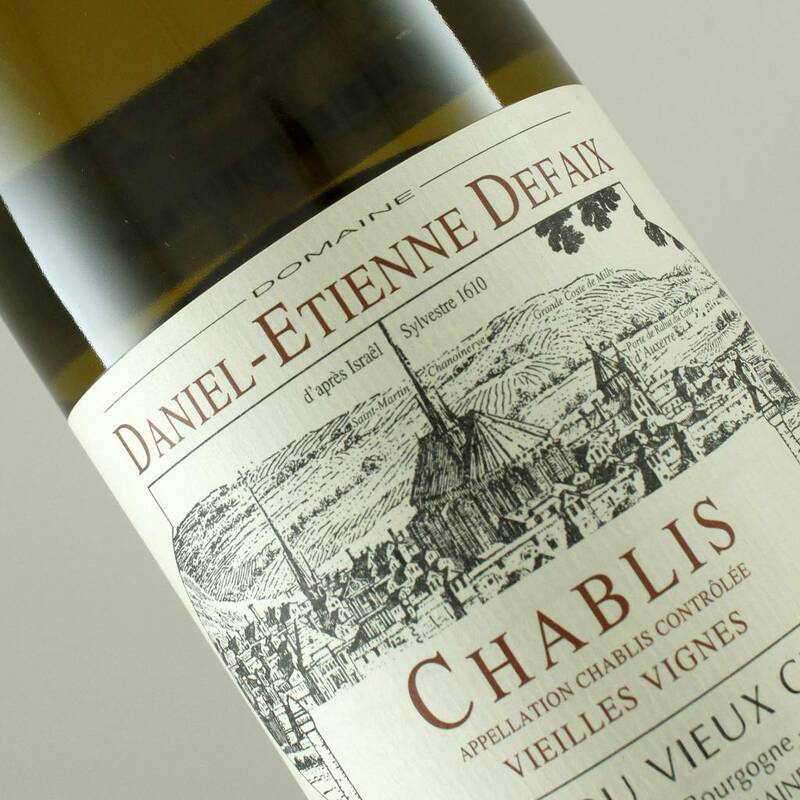 A very special Chablis indeed - recommend giving it some air. Rich and complex showing melon, green apple , and tangerine. with hazelnuts, butter and honey. The finish is dry with a marine note. Monkfish, Halibut, shellfish, veal. Daniel-Etienne Defaix is the fifth generation of this family of vine growers. Early efforts of this domain began with 2 hectares, discovering a way to protect vines from spring frosts, resulting in a guarantee of at least a minimum harvest annually. They have now moved to toward more sustainable and ecological operation. Organic farming has been the result. This wine has seen very long lees aging but no oak.